The School Spending Debate: What Difference Does A Dollar Make? : NPR Ed It's one of the loudest debates in education: whether spending more money adds up to better test scores and graduation rates. They're always going to be a step ahead of us. They'll have more money than us, and they'll get better jobs than us, always. Before her family moved closer to the city, where they could afford more living space, she attended the more affluent Upper Moreland district, which is predominantly white and, according to state and local records, spends about $1,200 more per student than William Penn. That difference adds up, Jameria says, to better buildings, smaller class sizes, take-home textbooks and less teacher turnover. "It's never going to be fair," she says, comparing her life now to her former classmates. "They're always going to be a step ahead of us. They'll have more money than us, and they'll get better jobs than us, always." 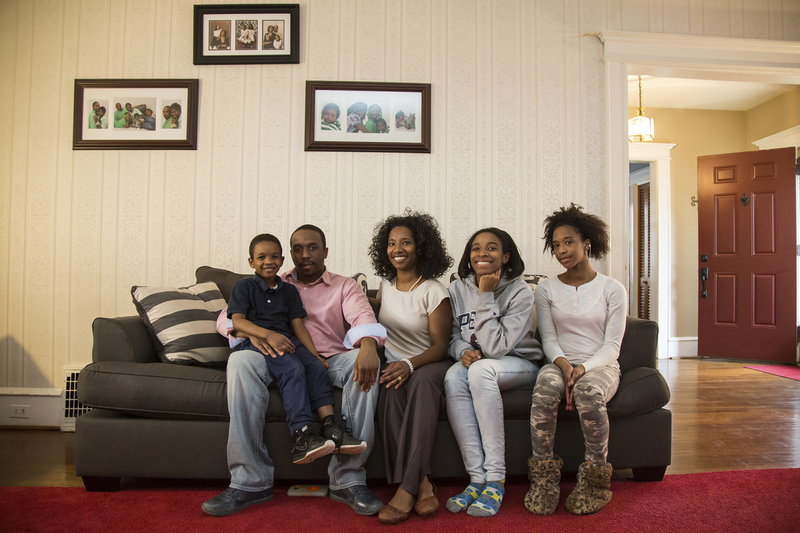 The Miller family sits in the living room of their home in a Philadelphia suburb. They are part of an ongoing lawsuit, arguing Pennsylvania has neglected its constitutional responsibility to provide all children a "thorough and efficient" education. So Jameria's parents have signed onto a lawsuit, arguing that Pennsylvania's school funding system is unfair and inadequate. To the Millers, money matters. "It's not about the dollars," says Stan Saylor, chairman of the education committee in Pennsylvania's House of Representatives. "It's where that local school district spent those dollars over the last many years." And Saylor is not alone. School Money is a nationwide collaboration between NPR's Ed Team and 20 member station reporters exploring how states pay for their public schools and why many are failing to meet the needs of their most vulnerable students. This story is Part 2 of 3. Join the conversation on Twitter by using #SchoolMoney. "Money isn't pixie dust," declared the Texas assistant solicitor general, arguing his state's side of a school funding lawsuit before the Texas Supreme Court. "Funding is no guarantee of better student outcomes." This idea, that sprinkling more dollars over troubled schools won't magically improve test scores or graduation rates, is a common refrain among many politicians, activists and experts. And they have research to back it up. "Use the money you have more wisely and educate our children," says Jon Caldara of Colorado's Independence Institute, a free-market think tank. In short, these critics say, it's How You Spend School Money, not How Much You Spend. This debate has raged for at least half a century, and today we're going to put both sides under a microscope. It's not about the dollars. It's where that local school district spent those dollars over the last many years. What follows here, as with the first installment in the School Money series, is a wrap-up of our reporting. For nearly every name and place, you'll find a hyperlink to more. Like this story, for Jameria Miller. Last week, we explored the question, "How do we pay for our public schools?" 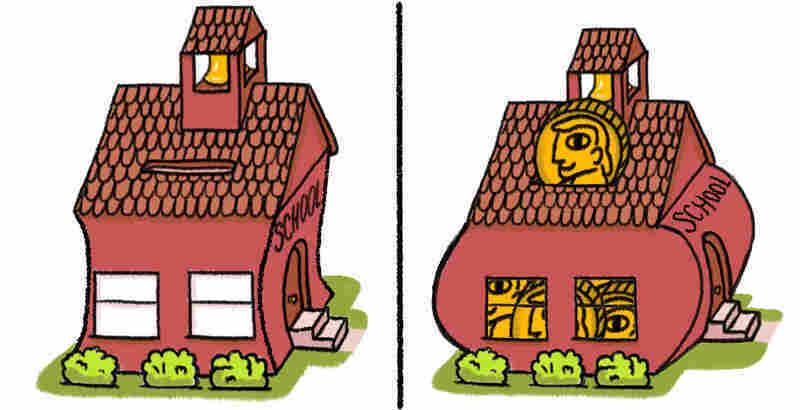 This week, we ask: "What difference can a dollar make in our schools?" Or, better yet, "Is money pixie dust?" The answer begins in a place not known for magic: Congress. Section 402 of the landmark Civil Rights Act of 1964 is short, just a paragraph long, but it demanded something huge: The federal government had to conduct a nationwide survey "concerning the lack of availability of equal educational opportunities for individuals by reason of race, color, religion, or national origin." The results were to be reported back to Congress. 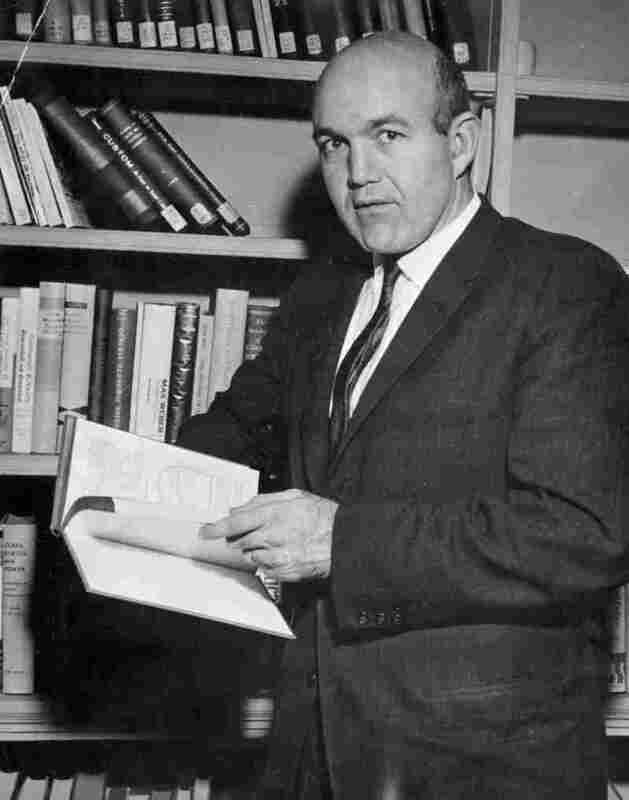 James S. Coleman, a sociologist, was tapped for the job. And he did not take it lightly. By the time Coleman filed his 700-page report, he and his team had surveyed some 650,000 students and teachers nationwide. "It was the most comprehensive data set, that was nationally representative, ever collected," says Kirabo Jackson, a researcher at Northwestern University. "It's actually the first time anyone had collected data that linked the characteristics of children in the home to their outcomes in school." The day Coleman released his report, in 1966, Eric Hanushek was a graduate student in economics at MIT, eagerly hunting for a thesis project. He found it in one of Coleman's headline findings. "Coleman explicitly said families are important and, after that, schools contribute very little," recalls Hanushek, now a senior fellow with the Hoover Institution at Stanford University. "And also that resources contribute very little." Family matters, Coleman found; schools matter less. And how much money schools spend on their students doesn't seem to matter much at all. "This is crazy," Hanushek remembers thinking. "If schools don't matter, why do we pay so much attention to them?" Something remarkable happened in New Jersey in the late 1990s. As part of a long-running school funding lawsuit known as Abbott v. Burke, the state increased spending in 31 of its then-poorest districts, dubbed Abbott districts. In fact, they got so much new money that spending in some of them eclipsed spending in some of the state's wealthiest districts. This remarkable investment in New Jersey's poorest schools turned heads and made headlines across the country. And, if money truly matters, Hanushek says, then the Abbotts should be a success story. But, he points out, all these years later, many are still "spending 2.5 times the national average, and there's no real evidence that they're closing the achievement gap or that they're doing significantly better." One of those districts, Camden, is spending roughly $23,000 per student this year. And Hanushek is right about the results. While schools there have improved under Superintendent Paymon Rouhanifard, student performance is still abysmal. A third of the district's seniors don't graduate on time, and more than 90 percent of high school students there are not proficient in either language arts or math. Part of the problem has been mismanagement. Before Rouhanifard, Camden struggled with corruption and went through 13 superintendents in 20 years. Much of that extra money is also paying for important things that had long been ignored. "If you read the stories about Camden from the early '90s, late '80s, it was a really, really horrendous situation," says Rouhanifard. "Schools couldn't offer basic meals for their kids. They didn't even have cafeterias. They didn't have basic textbooks." If kids are coming to school without the basic health and nutritional supports, you need to do that. He says the additional funding changed that, and to focus only on low test scores overlooks the good it's done. Perhaps the biggest challenge facing Camden's schools boils down to one word: poverty. Nearly half of the district's students live in poverty and nearly all qualify for free- or reduced-price lunch. In high-poverty districts, children often arrive at school needing things that more affluent districts simply don't have to provide — but providing them won't necessarily improve test scores. And this challenge extends well beyond Camden. Nationwide, 1 in 5 children lives in poverty. "If kids are coming to school without the basic health and nutritional supports, you need to do that," says Linda Darling-Hammond, who studies school policy at Stanford University. Darling-Hammond says any educator will tell you: It's tough to teach a child who is chronically hungry. Or sick. Or cold, like Jameria in Philadelphia. But, as with textbooks and teacher salaries, addressing the symptoms of poverty costs schools precious money. For more on Camden, click here. To meet the needs of its disadvantaged students, North Carolina has focused much of its effort — and dollars — on one big intervention: preschool. In the 1990s, a handful of low-income districts sued the state, arguing insufficient funding. Wake County Superior Court Judge Howard Manning found that, for most students, the state's schools and their funding were good enough. "At-risk children, who are not presently in quality pre-kindergarten educational programs, are being denied their fundamental constitutional right to receive the equal opportunity to a sound basic education." Superior Court Judge Howard Manning presides over a Leandro education hearing in a Wake County courtroom on July 23, 2015. Manning retired last year. Manning ordered the state to provide free preschool for any child considered at-risk. Not as an option, he argued, but as an obligation. "The Court is not so naïve as to think that every single at-risk child will be an academic superstar as a result of this early childhood intervention," Manning wrote, "but the Court is convinced that without this intervention more children will be doomed to the academic basement." A new study from the National Institute for Early Education Research at Rutgers University is just the latest to suggest that preschool, when it's high-quality, can narrow achievement gaps before they grow too wide. With strong support from the state's then-new governor, Mike Easley, the program grew quickly. At peak enrollment, in the 2008-09 school year, it provided free preschool to roughly 35,000 at-risk kids at a cost of $170 million. Ellen Peisner-Feinberg, of the University of North Carolina at Chapel Hill, has studied the state's pre-K program since it began. She's found that children who attend make greater-than-expected gains in kindergarten. "This is particularly true with dual-language learners and children who have lower levels of English proficiency," says Peisner-Feinberg. Without this intervention, more children will be doomed to the academic basement. But it's not all good news. She found that some of those preschool gains fade by the time these students leave third grade. For state lawmakers, that was one reason to scale back. When the Great Recession hit, they cut the program to serve 6,000 fewer students. 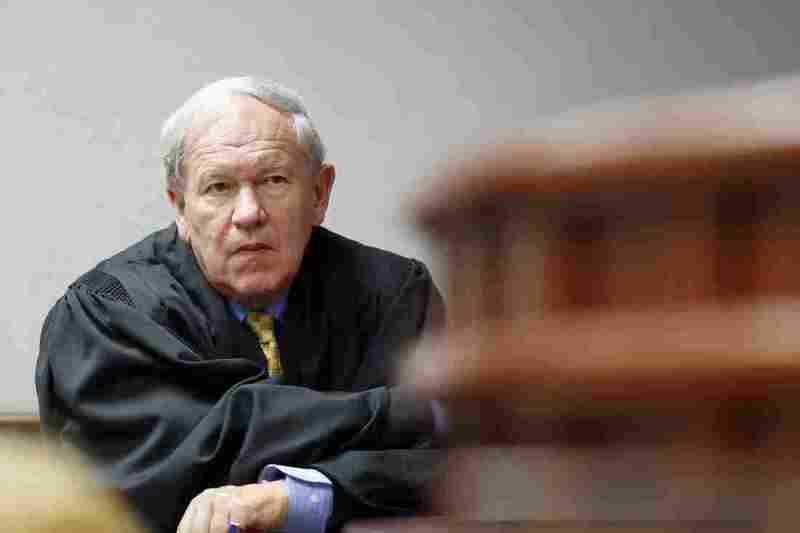 Judge Manning blamed the fading benefits not on the preschool program but on the lackluster schooling that many students received in later years. "They've been screwed over by first grade, second grade, third grade," said Manning in a presentation at North Carolina State University in 2011. "The academic prop they got [from preschool] fizzled because they probably weren't challenged and were just treated like poor kids without expectations." For more on North Carolina, click here. To some, the fact that schools are spending money to alleviate the symptoms of poverty is a kind of mission creep. "You know, one of the things about education is money to help those kids who are outside the educational problem. You know, did Mary's mother get arrested the night before? Did Johnny not come with shoes to school? Those aren't to me core issues of education." They affect education "a lot," Brown said, but help should come from outside organizations, not necessarily schools. That may explain why lawmakers there decided to scale back the extra money they had been sending to schools that educate lots of disadvantaged kids. Those dollars have made a big difference in Goshen, a small, northern Indiana town where low-wage manufacturing jobs have attracted many immigrants. More than half of the students there are Latino, the highest concentration of any district in Indiana. And many of those students depend on the district's special English Language (EL) program, which provides extra teachers, teaching assistants, counselors and considerable parent outreach. Hector Juarez-Montes, a fifth-grader at West Goshen Elementary, says his special English-language class is his favorite. "It's much easier in here to speak than back in our [traditional] classroom because over there you're sort of shy if you mess up on a word," he says. "But here it's safer." When kids like Hector feel safer speaking English in class, they perform better, too. That's one reason Superintendent Diane Woodworth says test scores went up as the number of low-income, Latino students increased in Goshen. Last year, state lawmakers voted to fund every district more equally, whether it's in an affluent suburb or a high-poverty community. That's meant a cut of some $3 million to Goshen, roughly a third of the cost of its EL program. But Superintendent Woodworth says she's not cutting any services — not yet, anyway. "We're not going to go there, because we'll find money," she says. "I'm an eternal optimist." For more on Goshen, click here. Goshen isn't the only place where extra money has made a difference. "A good education in a safe environment is the magic wand that brings opportunity," declared the Republican governor of Massachusetts, William Weld, back in 1993, as he signed into law a landmark overhaul of the state's school funding system. "It's up to us to make sure that wand is waved over every cradle." That magic wand did many things, but chief among them, it gave more state money to districts that educate lots of low-income kids. In places like Revere, north of Boston, where nearly 80 percent of students come from low-income families, many of those dollars were spent on people: to hire and keep good teachers and give them better training. 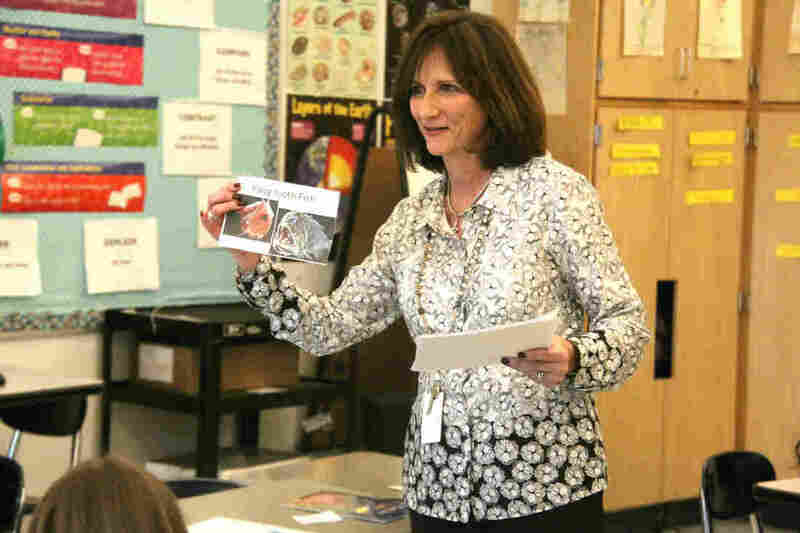 Karen English has taught in the Revere, Mass., schools for 36 years. This is key, says Bruce Baker, who studies school funding at Rutgers. "If you have enough money to hire enough people to have reasonable class sizes and to be able to pay them sufficient wages so that you're getting good people coming into the profession, that's most of the battle of providing quality schooling." Revere didn't stop there. It used the money to give its teachers better materials, too. "We noticed the difference right away," says Revere's current superintendent, Dianne Kelly. In 1993, she was teaching algebra. "We adopted a whole new textbook series in the math department. The first year I was here, the textbooks I was using with my students dated — no exaggeration — back to the '50s and '60s." Revere's schools also used the money to hire reading coaches, a technology team — some even lengthened the school day. "I really think that the funding was like winning the World Series," says Karen English, who grew up in Revere and has taught there for 36 years. Today, the district says nearly 90 percent of its high school graduates go on to some form of postsecondary education. That's up from 70 percent in the early '90s. And it wasn't just Revere. "When you look at Massachusetts' overall performance nationally, we have gone from the middle of the pack to the top of the pack," says Paul Reville, a former state education secretary who now teaches at Harvard's Graduate School of Education. For more on Revere, click here. So, quick recap: While the money in Camden, N.J., has led to relatively little academic progress, our stories from North Carolina, Indiana and Massachusetts offer a compelling counterpoint to the idea that money doesn't really matter. So, too, do a pair of recent studies that look not at one state but at many where parents, activists and school leaders from low-income districts sued and won increases in school funding. The first, we'll call it Study A, looked at how well these low-income students performed on the NAEP test, the National Assessment of Educational Progress. "After the spending increased, test scores slowly, surely increased as a result," says one of the researchers, Diane Whitmore Schanzenbach, who is also an associate professor at Northwestern's School of Education and Social Policy. The team behind Study A found that the achievement gap between students in high- and low-income districts shrank by roughly 20 percent. By contrast, in states that saw no school-funding reform, that gap didn't shrink at all. It grew. Instead of test scores, these researchers used very different measures of success: long-term outcomes like educational attainment and a student's income in adulthood. Why? One of the authors of this study, Northwestern's Kirabo Jackson, says that important social-emotional skills — sharing, cooperation, persistence — may not show up in a test score, but cultivating them in schools can help a child succeed in later life. "They're designed to teach students things like, 'This is how you share. This is how you become a good person.' And these things play out," Jackson says. "If you go to a job interview and you don't understand that you need to show up on time and be polite, you're not going to get that job, no matter how smart you are." Translation: If funding increases helped build students' social-emotional skills, then low test scores wouldn't necessarily mean the money was wasted. 1.) The extra money made poor students less likely to be poor as adults. 2.) It increased the likelihood that they would graduate from high school by 10 percentage points (7 points for all students). 3.) And, perhaps most remarkable, the funding led to a nearly 10 percent increase in low-income students' adult earnings. Jackson and his fellow researchers studied the effects on all students, but for nonpoor children, he says, funding benefits were "small" or "statistically insignificant." Only low-income students showed consistently large benefits. So, is money pixie dust? No. If it were, there would be no debate. Or, at least, the debate wouldn't be nearly as loud. But, does money matter — especially for low-income students? Even Stanford's Eric Hanushek agrees that it does. "Money matters, of course," he bristles. "And I think that's a straw-man way to phrase the question." Takeaway #1: The money reaches students who need it most. Did Mary's mother get arrested the night before? Did Johnny not come with shoes to school? Those to me are not core issues of education. "What I see as the ideal in many ways," Hanushek says, "is a system that provides extra resources to kids that need more resources. So this would be ELL kids. Special education kids. Disadvantaged kids in general." In other words, the kind of targeted funding that helped Goshen build its special EL program in Indiana, or that paid for Revere's district-wide reset. Takeaway #2: The increases come steadily, year after year. For extra money to have an impact, Study B and the story of Revere in Massachusetts suggest that it can't just be a one- or two-year boost. The funding was like winning the World Series. Karen English, schoolteacher in Revere, Mass. Takeaway #3: The money stays in the classroom: paying, training and supporting strong teachers, improving curriculum and keeping class sizes manageable. Money alone does not guarantee success any more than a lack of it guarantees failure. Paul Reville, the former Massachusetts education secretary, says not all districts there were able to translate funding increases into academic gains. Often, the difference was how they spent the extra money. This debate — How You Spend versus How Much You Spend — isn't a debate at all. Or shouldn't be. Each depends on the other. Extra money spent thoughtlessly is no panacea for what ails many schools. But it's also true that, to pay for the kinds of things (and people) that are most likely to help vulnerable students, many schools need more money. Takeaway #4: How do we define success? Or should our focus widen to include wages, incarceration rates and other life outcomes of kids many years after they leave the nation's schools? Because the lesson of Camden and, again, of Study B is that not all school spending, especially on meeting students' basic needs, can be expected to improve test scores. But that doesn't mean it's being misspent or failing the children it's supposed to help. Next week, the last week in NPR Ed's School Money series, we'll look at the political landscape of school funding and explore a few big changes on the horizon.